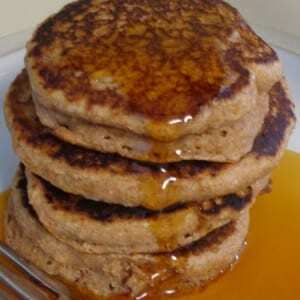 All ideas, recipes, & opinions are entirely my own. However, this is a sponsored post on behalf of Michael Angelo’s™. Who said that baked veggies can’t be healthy and simple?! This Easy Oven Roasted Green Beans Recipe is made with fresh veggies and a few other household ingredients. 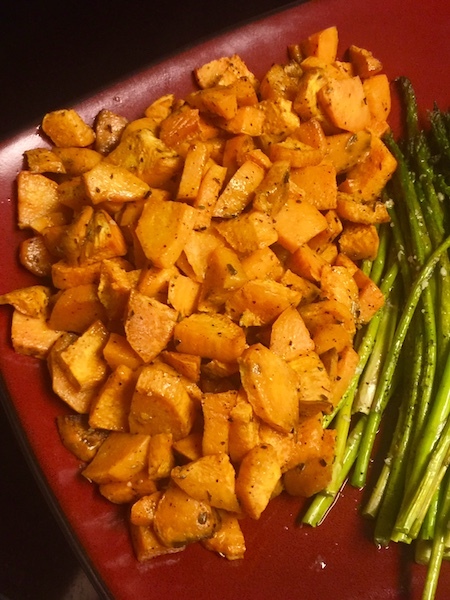 So turn on that oven, get your families in the kitchen, and as you learn how to cook this recipe it’ll likely become one of your favorite side dishes! 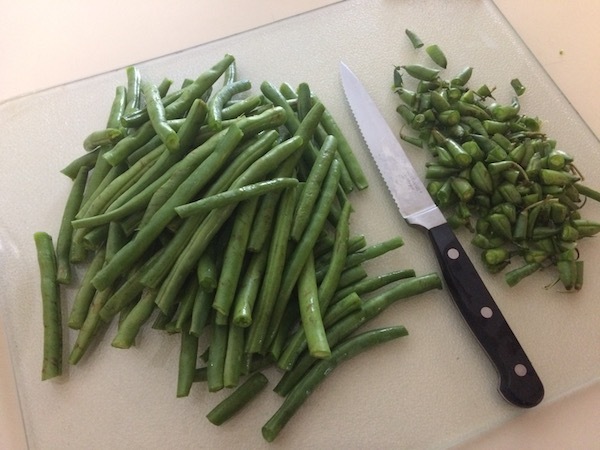 But before we get to the recipe I just have to ask, what good is a super simple side dish like this green beans recipe if you don’t have a fabulous main dish to go with it? Well, I’m glad you asked because I have a fabulous answer for that question! 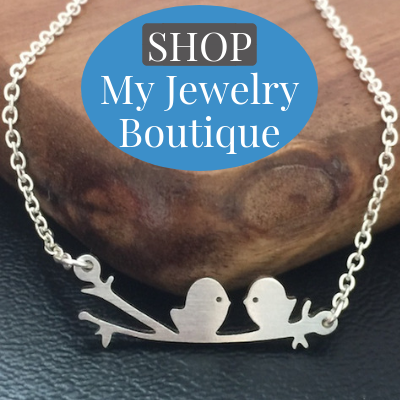 Friends, I give you Michael Angelo’s™ Signature Line of products! I’ll be honest and admit that I was a bit hesitant when they asked me to try their products but this skeptic was pleasantly surprised at first bite. After all, I am a pasta girl! Can I just say that when this family-owned and -operated company claims that their products have amazing flavor and taste as though they came straight from your own kitchen, they aren’t playing around! 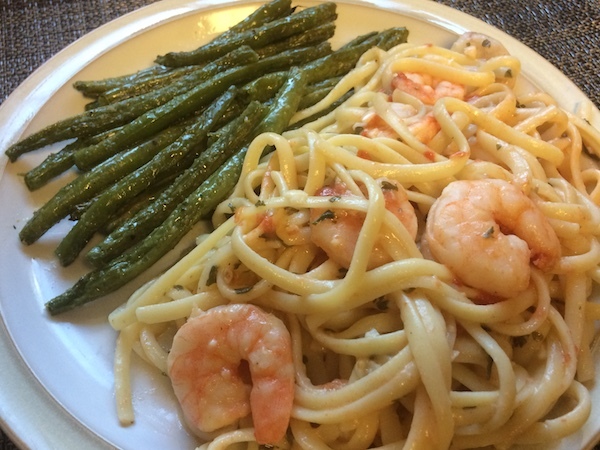 While the Lasagna with Meat Sauce and Eggplant Parmesan were enticing, hands down the Shrimp Scampi won my heart when it was time to choose and add one of them to my shopping basket at Publix. It’s no secret that we’ve been making simple changes towards a healthier lifestyle and I love that Michael Angelo’s™ line of products has ingredients that are simple and clean. Just take a look at the ingredients list; not many prepared meals found in the frozen aisle have labels where you can actually pronounce, and understand, the ingredients. As you can see, there are real ingredients listed. Plus there are no preservatives or artificial ingredients, which is exactly what I look for in products I give to my family. 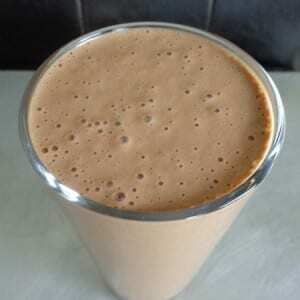 And the taste…well I don’t want to give it away just yet but it was pretty fabulous! Trim the ends off of the green beans. 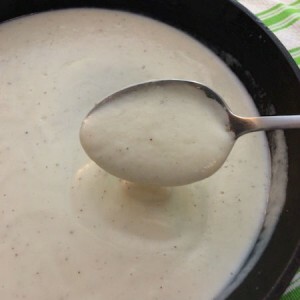 Combine all ingredients in a large bowl and toss. Make sure that all of the green beans are covered with olive oil so they don’t dry out. 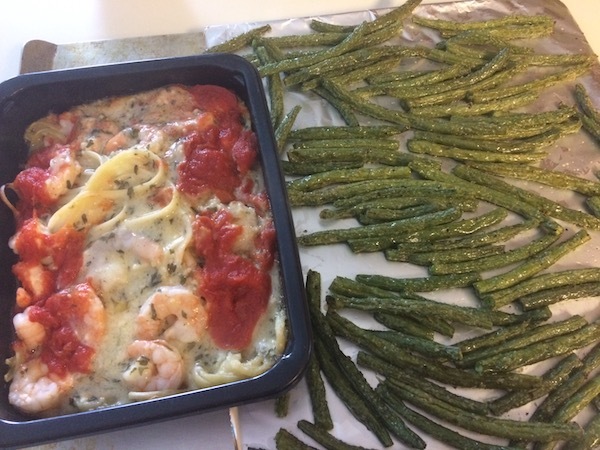 One batch of easy oven roasted green beans, one Michael Angelo’s™ Shrimp Scampi and one cookie sheet and you have yourself a scrumptious meal. Unless you’re super slow at trimming your green beans, prep time for this entire meal should take you less than 10 minutes. Now that’s what I’m talking about! I only wish you could have smelled the scampi when I pulled the cooking film off…oh, it was heavenly! And, yes, this is exactly what it looked like straight out of the oven. 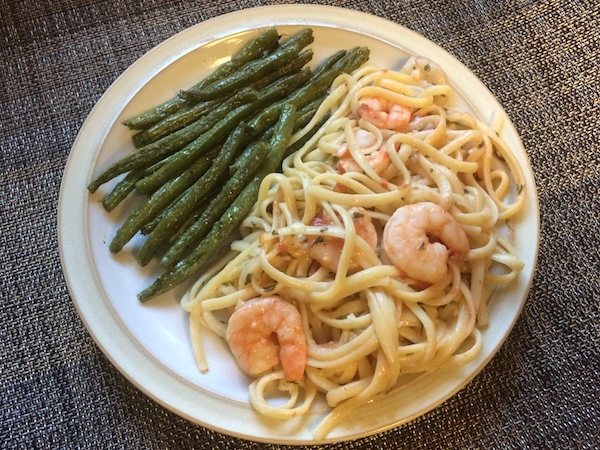 Tip: I put the Shrimp Scampi in to cook and by the time the green beans were prepped it was time to add them for the remaining cook time. Easy peasy! The Shrimp Scampi has a robust sauce with the perfect amount of lemon butter and freshly diced garlic. Blend that with the al dente cooked linguini and top it with diced tomatoes and a smidge of parsley and you have yourself the perfect flavor combination that will melt in your mouth. I’ll even be bold enough to say that it tasted as good as our local Italian restaurant, if not better! 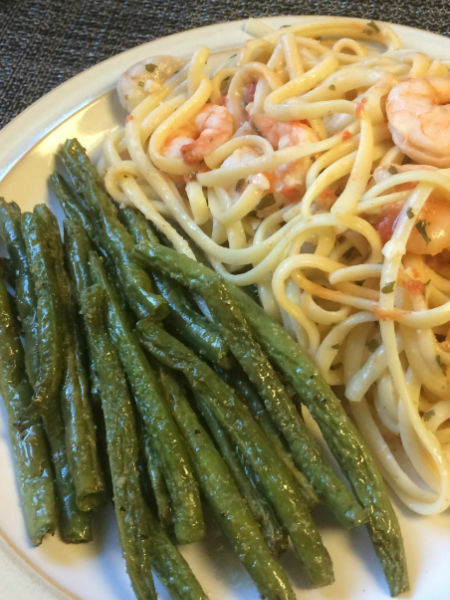 No doubt about it, the oven roasted green beans recipe along with the Michael Angelo’s Shrimp Scampi will be the perfect home cooked meal for my weekly night off of cooking. Not only did Trent and I give it a thumb’s up but my two year old, Dalton, kept asking for more too! If you haven’t tried Michael Angelo’s™ products head over here to the store finder to see which stores in your area carry this fabulous line. (Note: In my area the only store that carried the Shrimp Scampi was Publix.) And while you’re at it, keep up-to-date with new products over on their Facebook page. 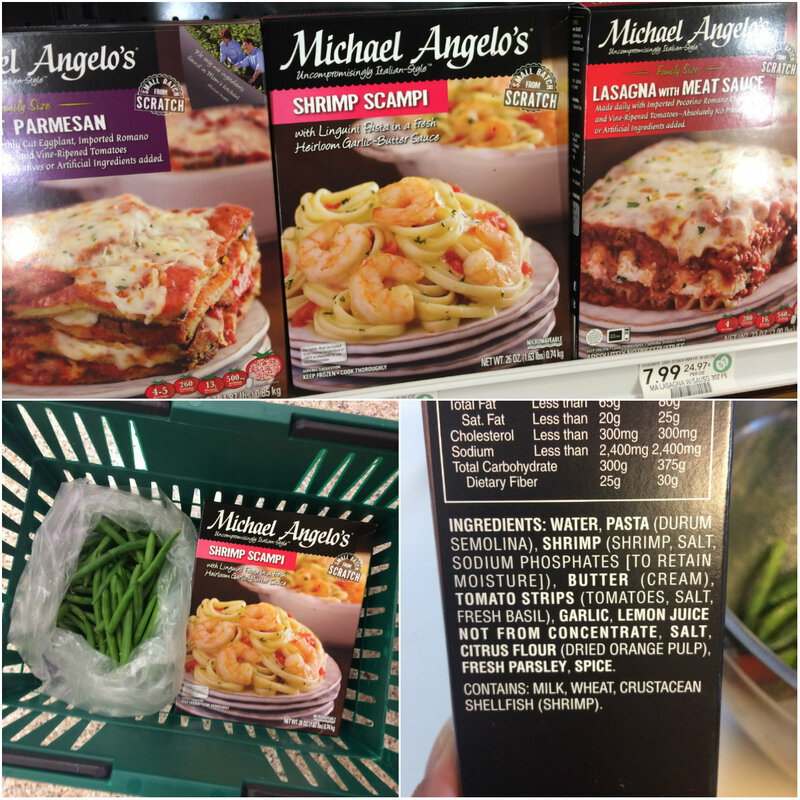 Which one these Michael Angelo’s™ Signature Line products would you pair with my easy Oven Roasted Green Beans recipe?